Who settles refugees on Chicago's North Side? Chicago may have a deeply entrenched history of segregation, but some pockets on the North Side are as diverse as one might hope to find anywhere. One reason: Chicago’s far North Side has been a port of entry for thousands of refugees since the first wave came from Vietnam in 1975. Does the city actively participate in resettling international refugees in certain neighborhoods, such as Rogers Park? Refugees come to Illinois through a public-private partnership between the U.S. Department of State, nine private agencies called voluntary agencies (or, “Volags”) and the local non-profit resettlement agencies that do most of the ground work. 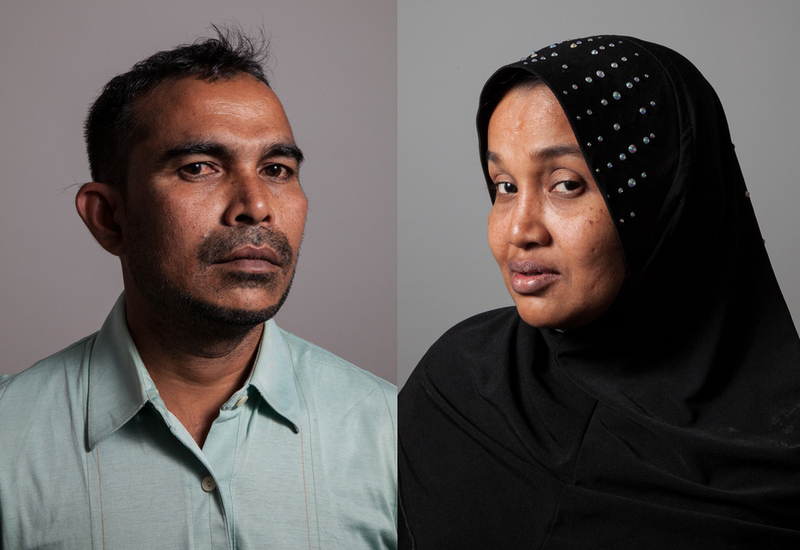 In Chicago, six resettlement agencies are contractually obligated to provide services to help refugee families relocate and integrate to the greatest extent possible within their first three months in the U.S. They are RefugeeONE, Catholic Charities of the Archdiocese of Chicago, World Relief, Heartland Human Care Services, Ethiopian Community Association of Chicago, and the Hebrew Immigrant Aid Society of Chicago. “The city could play a role, but has not in the past,” said Edwin Silverman. Silverman is the Illinois State Refugee Coordinator, overseeing that partnership between the State Department and local agencies. “There was a period in the early ‘80s when the city was at the table, represented by the Chicago Commission on Human Relations,” Silverman explained. “The CCHR had, up until the Emanuel administration, an advisory council on immigrant and refugee affairs.” The city eliminated that advisory council in last year’s budget cuts. So, why the North Side? Over time, the North Side became firmly established as the first stop for refugees because most of the resettlement agencies opened offices there. RefugeeONE is just off the Lawrence stop on the CTA’s Red Line in Uptown; the Ethiopian Community Association is in Rogers Park; World Relief has an office in Albany Park; and Heartland’s office for refugee services is just off the Montrose CTA Brown Line stop. Proximity to public transit stops is crucial for these agencies because refugees often need easy access to their offices, where English as a Second Language classes and other services are offered. In addition to the resettlement agencies, an infrastructure has emerged to support refugees on the North Side. Other aid organizations have popped up in these neighborhoods, with services geared toward immigrant populations. Public schools have built the capacity to teach students and connect with their parents in their own languages. Libraries stock materials that are relevant to their cultures. Local grocers and restaurants sell foods that are familiar to newcomers. Chicago community areas mentioned in this story (clockwise): Rogers Park, Edgewater, Uptown, Albany Park and West Ridge. The increase in North Side rental prices coincides with another trend: declining public financial aid for refugees. “In the early ‘80s, refugees who were unemployed accessed public cash assistance,” said Silverman. At that time it was under the Aid to Families with Dependent Children program, and Silverman said it paid about 72 percent of the federal poverty level. Today, refugee assistance comes through the Temporary Assistance for Needy Families program. “For a single individual it pays about 30 percent of average low-income rent,” said Silverman. “For a family of four, the TANF payment pays about 55 percent of the rent.” That’s because the assistance is given on a per-person basis. “The funding for refugee resettlement that enabled a stable system to provide services for up to 5 years now barely provides service for a year to a cohort of new arrivals,” Silverman concluded. The result is that refugees are more dependent on Volags in the their early months, until they find jobs. With the recent economic downturn, refugees’ need for assistance has become more acute, as many have not been able to find employment. So how can refugee agencies deal with these stresses looking forward? Cheaper housing can be found in Chicago’s suburbs, and World Relief has been well-situated to take advantage of that with offices open in Aurora and Moline. Other agencies have explored the idea of satellite locations, but the funding necessary to open and maintain those offices has been prohibitive. In some cases, refugees have opted on their own for suburbs first, testing the support infrastructure of local schools and public institutions. I would like to know whether this idea is actually true, that we’re one of the most diverse neighborhoods in the country. I’ve seen it cited on a Rogers Park blog, I think I’ve seen it on some Loyola materials, but first I want to know if that’s statistically accurate. In that study, Rogers Park (nor any other Chicago neighborhood, for that matter) did not show up in the area&apos;s top ten most diverse neighborhoods. More interesting, though, Rogers Park may not even contain the most diverse census tracts within the City of Chicago. You can see how the four major racial groups break down on this map (warning: do not do this at work — you’ll wonder where your day went). For each census tract, I looked at the difference between the most-populous and the least-populous racial group. The smaller the difference, the more diverse. By that standard, tract 205 appears to be the most diverse in Chicago. It’s close to Rogers Park, but actually falls just west of the Ridge Ave. border, so it’s technically in West Ridge. And while several census tracts in Rogers Park still show robust minority populations, Uptown’s tracts 312 and 315 show more even racial distributions by comparison. But broad census categories for race may not be the best measure for diversity. Iraqis and other Middle Easterners, for example, have typically been categorized as “white,” while “Asian” includes nationalities as varied as Vietnamese, Pakistani, and Bhutanese.